The Friends of the Child Advocacy Center of Union County and the Kenilworth Girl Scouts Troop No. 42867 have teamed up to supply young victims of abuse new backpacks loaded with everything the students will need to head back to school next week. Members of the Girl Scouts Troop, mostly fifth-graders from the Kenilworth area, visited the Child Advocacy Center (CAC) of Union County on East Jersey Street in Elizabeth for a tour late last month and decided to make the donation drive one of their 2017 service projects. This initiative was undertaken under the direction of Troop mom Nydia Y. Monagas, Psy.D., the local New Jersey Children’s Alliance Chapter Coordinator as well as a private clinician who provides therapy to children. Union County Prosecutor’s Office Special Victims Unit Supervisor and Assistant Prosecutor Caroline Lawlor outlined the CAC’s purpose and mission for the Troop members. More than 500 cases of physical or sexual abuse of juveniles are referred to the Center annually, and victims receive a wide range of therapeutic and social services there. 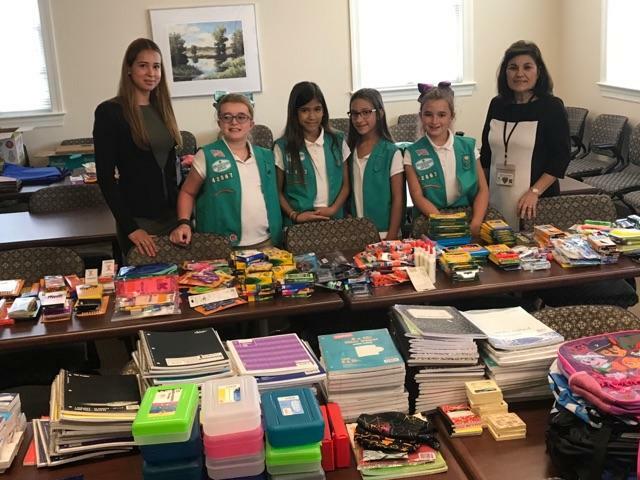 The Girl Scouts collected pencil cases, standard and colored pencils, pens, markers, crayons, highlighters, folders, binders, notebooks, paper, index cards, glue sticks, calculators, staplers, hand sanitizer, and other items to include in the donated backpacks. The Friends of the CAC also supplemented what the Girl Scouts collected, purchasing backpacks and supplies of their own to donate. 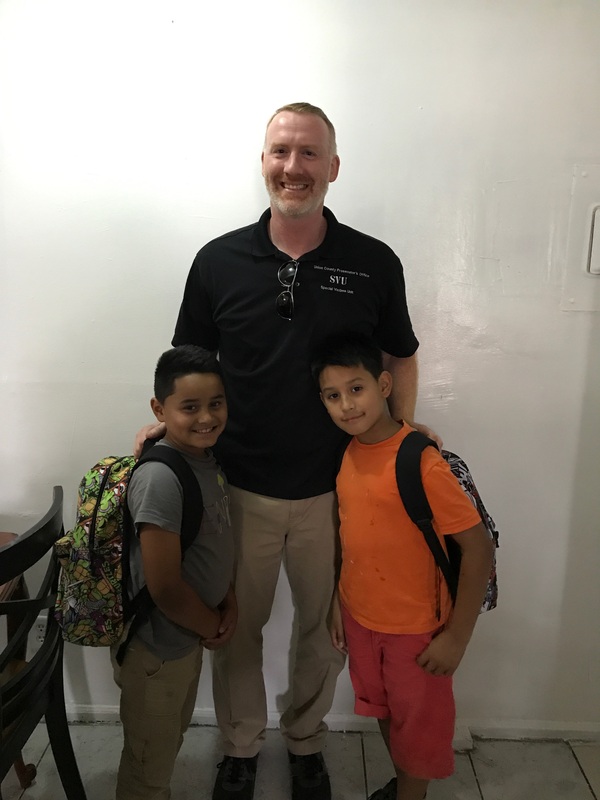 This week Special Victims Unit detectives started delivering the approximately 25 fully loaded backpacks to victims and their families in towns including Elizabeth, Kenilworth, Linden, Plainfield, and Rahway.